A stellar constellation of festive events clustered on Christmas Eve, Christmas Day, New Year’s Eve, and New Year Day. 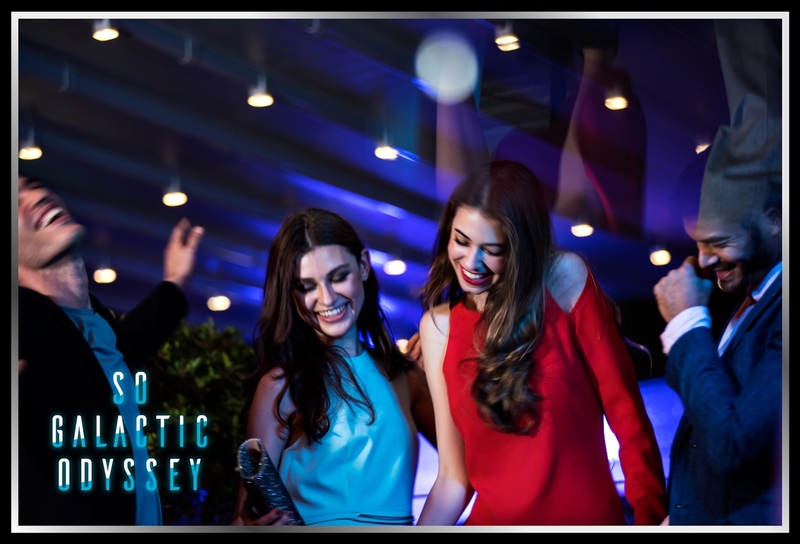 Start your countdown this holiday season and buckle up as SO Sofitel Bangkok blasts off into the new year with the “SO Galactic Odyssey” festive program 2018. A number of festive activities throughout December keeps the holiday cheers ringing to the galaxies and beyond this holiday season. A last SO Pool party of the year bids 2018 farewell with a splash with the help of Möet & Chandon, and a special festive Cheese@SO highlights the cosmic pairing of fine wine and splendid cheese. Throughout the month, special Chocolab cooking classes invite guests to take happiness in their own hands, and a very festive edition of its Fashion Hi-Tea brings astronomical cheer all December long. The all-new Chocolab Festive Hampers 2018 is packed full of goodies, including bonbons, chocolate-scented candle, chocolate jam, chocolate bar, Chocolab mug, and a teddy bear. The “Men are from Mars” set also includes rum-flavored chocolate and a bottle of Möet & Chandon. On Christmas Eve (Monday, December 24, 2018) and Christmas Day (Tuesday, December 25, 2018), gather your co-pilots at Red Oven for reminisces and laughter over some of the best feasts in the galaxy. On the seventh floor, overlooking the lush Lumpini Park, a gastronomic orbit of buffet stations showcases traditional roasted turkey and honey ham, plus Atlantic king salmon, Wagyu beef cheek, and plentiful treats for the sweet day, including trifle, pavlova, and holiday-flavored ice cream. A classic taste of the holidays can also be enjoyed at Park Society, where a five-course dinner on Christmas Eve and Christmas Day presents scallops, lobster, foie gras, Bresse chicken, and the sweet notes of the holidays. Welcome, and pre-dessert cocktails keep on the festive theme and a wine pairing option sprinkles stardust on the evening. However you dreamed your last supper (of the year) to be, you can most likely find it at Red Oven on New Year’s Eve (Monday, December 31, 2018) in the feast to end all feasts. Make like a comet to the buffet spread which features seafood galore, plus a carving, raclette, and Iberico ham stations. Upon the rooftop, Park Society invites diners to revisit the best of Park Society in six courses to remind us of the rosier times in 2018. Famous DJs act as ground control to launch New Year’s Countdown revelers into the boisterous night at The Water Club, while up on the 29th and 30th-floor rooftops, guests can shine like a supernova and ring in 2019 at HI-SO Bar. For the most exclusive party of the night, countdown and blast off with a handful of your favorite co-pilots in the universe from the 31st-floor terrace at HI-SO sky terrace, where guests can enjoy unlimited beverages of Champagnes, wines, beers, select cocktails, soft drinks and a mini bu­ffet provided. Hangovers are just reminders of yesterday’s good times, so after returning from the stratospheric heights of countdown celebrations, take it nice and slow with a leisurely New Year’s Day (Tuesday, January 1st, 2019), Brunch at Red Oven featuring all the fuel you need to start the new year strong – there’s a bloody mary station to help. A credit card guarantee is required for bookings on December 24, 25, and 31, 2018, as well any group bookings over 10 persons.